This website is dedicated to the remarkable village of Johnshaven and the surrounding area of Benholm. 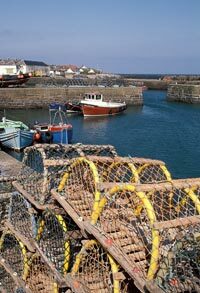 Set on the picturesque coastal plains of the Mearns around 7 miles north of Montrose just off the A92, the charming fishing village of Johnshaven attracts visitors all year round. Home of the nationally acclaimed Fish Festival, Johnshaven is the perfect location from which to launch your holiday adventures in the North East of Scotland. The Johnshaven and Benholm area is rich in maritime heritage and continues to support a successful and internationally recognised shellfish industry.